Andy or Adam will visit you at your home (free of charge) to survey your garden and discuss the many design options available to you. 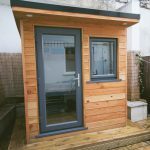 We will survey your garden to ensure that your garden room design will meet the required planning regulations and talk you through the process of the build. You can also ask any questions you may have about the design or installation. 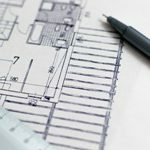 Our fully qualified and experienced team will put together a bespoke design tailored to your exact requirements. 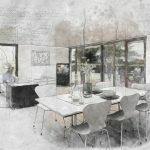 As a minimum, your garden room or office will be insulated, double glazed and will have electricity including the main connection to your property. Once the design is finalised, we will provide you with a quote full specification list and a range of payment options including finance. The build begins! This is the most exciting part of the process, seeing your design come to life. 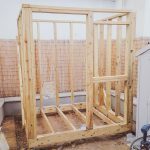 We build all of our garden rooms on site with care and detailed attention. At Think External, our tradesman are polite, courteous and always keep the site clean and tidy. All works to be carried out to a very high professional standard and in accordance with current health and safety regulations. All of our materials are sourced locally and of the highest quality. You can now enjoy your new External Space!